Diversity and Inclusion are topics of high importance and on many agendas today; private, public and civil society alike. Sweden is by several studies pointed out as the most equal country in the world but there is still much more to be done. India is a country with diversity at its core. Swedish companies are now making stride into India and our meetings points are many; set in a multi-cultural, vibrant and diverse environment where creative solutions are possible and learning immense. 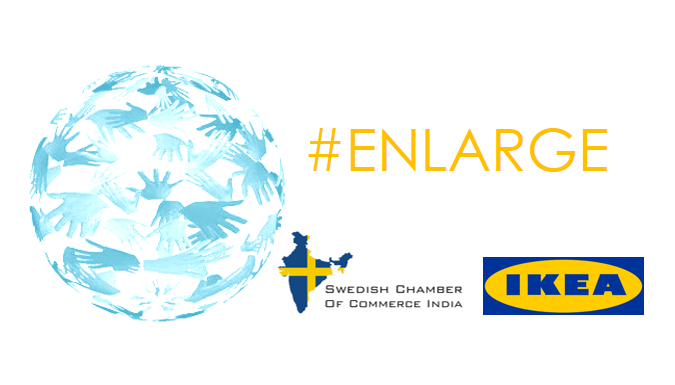 With an emphasis on holistic growth, we would like to have a conversation on how to put focus on the diversity and inclusion agenda to make it a success and how Swedish companies in India can be role models and thought-leaders in a field of crucial importance. We therefore call for a strategic discussion on collaborative actions as a business community; both from a perspective of policy/laws, governance and value change. To our help for the first discussion, we are joined by Ms. Sari Brody, Global Diversity and Leadership Manager IKEA. Sari is in India for leadership training and all-employee meeting within IKEA and has extended her visit with a day to interact with other Swedish companies. Join us on for this important discussion!